Over at Amazon, Canon’s SD780IS 12.1MP camera is on sale for $159. 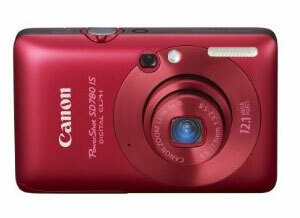 Unfortunately, only the red version of the camera is discounted – the other colors are ~$200. The SD780 has earned itself a solid reputation, but it’s a bit dated and is probably on the way to beinging phased out and replaced with updated models.